What Kinds of Nursing Degrees Are There? Chris O’Brien received her BSN from Auburn University and her Master’s in Public Health degree from Emory University. With a background in cardiac care, home health, nursing research & education, and medical writing, she now enjoys the dual paths of being a freelance medical writer and yoga teacher in Decatur, GA. Ever wondered just what it takes to break into nursing? Where should you start? What kind of degree is best? The answer to those questions depends on your goals. Nursing is filled with options, from the multitude of work environments, specialties and positions to the array of degree types available. Below we explain what you can expect at each level of nursing education, from licensed practical nurse and registered nurse to doctor of philosophy in nursing. Starting your career as a licensed practical nurse (LPN) or licensed vocational nurse (LVN) works well if you are ready to join the work force as soon as possible. 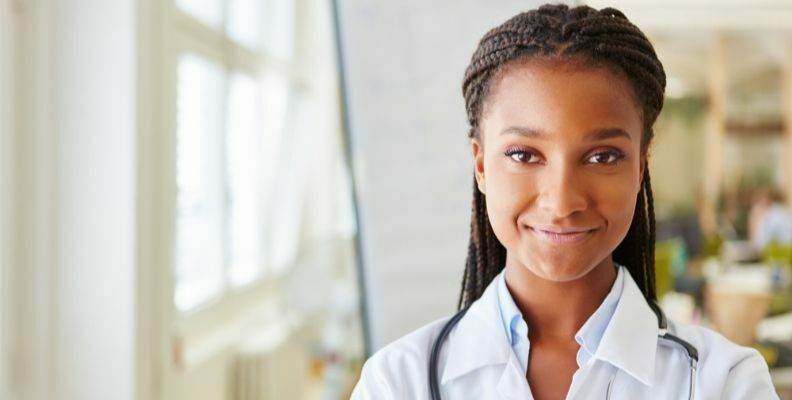 This is the fastest path to becoming a licensed nurse and can lead to a rewarding career with an average annual salary of approximately $41,000, according to the US Bureau of Labor Statistics. Difficult to fill positions such as weekend and night shifts can boost income potential for those with scheduling flexibility. Both advancement and wages can hit a ceiling for LPNs/LVNs, but continuing your education in an LPN to RN program fixes that problem. Typical areas for LPNs/LVNs include doctor’s offices, clinics, operating rooms, and other areas where RN or MD supervision is readily available. Diploma programs are administered through hospitals and take about three years to complete. They are the most classic style of training for nurses. Historically, the main advantages of diploma programs have been lots of hands-on experience and development of strong clinical skills from spending so much time in a clinical setting. Today, these types of programs are less prominent. If you’re really interested in a diploma degree, you may have to search a bit for the right program. An associate degree in nursing takes two to three years to complete and is the shortest path to becoming a registered nurse. Online courses help to make this option a reality for those who need to continue working while pursuing their nursing education. Because these programs take less time to complete, graduates do not have the same amount of preparation as those in programs with more hours of classroom and clinical training. Pay rates for ADN prepared nurses are between $21 and $30 per hour according to PayScale.com. ADNs may find fewer job options, though, as some organizations prefer to hire nurses with BSN degrees when possible. A BSN is considered the most traditional path for starting a career in nursing today. Students enrolled in a four-year college apply to enter into a nursing program after taking the pre-nursing courses. The broad base of classes in the arts and sciences prepares students for a variety of clinical and leadership roles. Many programs include a preceptorship in which the student works closely with an experienced RN to polish clinical skills in a specific area such as an oncology, cardiology, neurology, orthopedics, geriatrics, labor and delivery, emergency services and more. Pay rates with a BSN degree are between $23 and $32 per hour. After completing a BSN degree, some students go right into a master’s degree program in nursing to further specialize. MSN programs take about two years to complete and specialties include nurse-midwifery, psychiatric nursing, nursing education, geriatrics, and nursing informatics to name just a few. Like most educational programs today, a good portion of work can be completed online; however, expect to spend part of your time in clinical settings that allow for hands-on learning. Master’s level nurses generally earn more than those without an advanced degree, but this isn’t always the case. Master’s-prepared nurses may find more non-traditional opportunities. They can also teach at the college level. This option fills a great need for those who already have a master’s degree but would like to teach or to specialize as a nurse practitioner, for example. Portions of coursework will likely be online, while other parts will be in the classroom or at clinical sites. Salaries are generally higher than those of other RNs. Additional opportunities for employment make this a good choice for anyone who wants to learn more and advance in his or her career without getting a doctoral degree. The newest degree option for nurses is the DNP. This degree path provides a high level of scientific knowledge and clinical practice expertise. Nurse practitioners wishing to advance may opt for this path if they want to continue in a clinical role as opposed to a research and teaching role. The degree opens up a variety of advanced nursing specialties in addition to nurse practitioner. Salaries and job opportunities vary depending on specialization, years of experience, and local demand for this higher level of clinical expertise. Nurses can apply to DNP programs with a BSN or an MSN. The length of a program can vary but, generally, is about three years, full-time. Those with a PhD in nursing are at the top of the academic food chain. These individuals are prepared to design and implement clinical research projects, write for scientific journals, teach at the highest level, and serve as administrators in a variety of settings. They may specialize in any area of nursing, but may also blend their work with areas such as anthropology, sociology, psychology and more. Salaries vary depending on years of experience, tenure, and specialization. Many PhDs serve as editors for journals and contribute heavily to nursing literature through academic research. A PhD program can typically run between four and six years. I’m an RN. Can I get my BSN purely online? Should I get an Associate’s Degree in Nursing (ADN) or a Bachelor’s of Science in Nursing degree (BSN) if I want to be a Registered Nurse (RN)? What are the advantages and disadvantages of online nursing programs?